Pride and chiggers have a lot in common. Pride comes in little ways, unseen actions, subtle thoughts or inconspicuous comments. Unguarded attitudes and random thoughts are prime breeding grounds for pride. We must take charge of those thoughts, discipline our attitudes, training our thinking processes to give up and obey God. Pride loves to take up residence in an undisciplined thought life, changing the setting and dictating attitudes with little or no resistance. When Paul encouraged the believers in Rome to cultivate “sober judgment,” he was warning them to take charge of the mind, refusing to allow the entrance of any thoughts that would entertain pride. A disciplined thought life is the very foundation of a victorious journey with God. Many of us attempt to find worth and identity in what we do – not who we are. As a result, our actions are intended to draw the attention of anyone and everyone in a vain effort to establish self-worth. There may be people in your life who are difficult to love. Our responsibility is to love and accept these difficult people without insisting they change or counting on them to change. In order to do that, we must choose grace and humility over pride and censure. Pride vanishes beneath the loving gaze of our Father who simply longs for each one of us to see ourselves through His eyes – no more and no less. The frontline of battle against pride is the mind. We are in a war for the control of the mind. Paul recognized that truth and urges us on in the battle, “We are taking every thought captive to the obedience of Christ” (2 Corinthians 10:5, NASB). To take something captive is a military tactic that we would do well to employ, because the harsh reality is that when it comes to our thought life. we are in a great battle – especially when dealing with pride. Sometimes it seems as if pride can actually crawl into my mind and grab hold of any undisciplined thoughts floating around. Pride then flings those random thoughts into my heart as an attitude laced with burning arrogance. We can change our lives by changing how we think. We can dictate the attitudes of our heart by fixing our thoughts on God and His truth. The result is peace, which stands against pride, electing humility instead. “You will keep in perfect peace all who trust in You, whose thoughts are fixed on You” (Isaiah 26:3). What does it mean to “fix” our thoughts? Webster’s Dictionary defines “fixed” as “rigid, solid or firm.” We must learn to fix our thoughts on the truth of God’s word. We need to be rigid in controlling our thought processes, holding firm to God’s standard for the mind. The result will be a stable way of thinking and living. To prevent pride requires a choice to take charge of our mind. I once dated a young man I thought was “the one.” For some reason, my mother did not like him. Knowing her daughter very well, my mother said nothing, but I am sure she was on her knees pleading with God to take that young man out of my life. He did. We eventually broke up and my mother finally explained why she had a problem with this young man. “If I could buy him for what he’s worth and sell him for what he thinks he is worth, I would be a millionaire!” Mama did have a way with words. She was so right! Today, that man is out of ministry, divorced and living a life that is unpleasing to God. His pride robbed him of the best God had for him. Don’t let that happen to you. Run from anyone or anything that promotes a prideful attitude. Eliminate the strongholds of pride in your life. Nail your ego to the cross and declare it powerless. Celebrate the trophy of grace you are in God. Since the start of the new year, three words have been ringing in my ears: “Come to Me.” Matthew 11:28 has been hidden in my heart for as long as I can remember, but recently I’ve heard the Lord speak this intimate invitation to me personally, in light of all the things I tend to run to, turn to, “come” to. Are you weary and heavy laden? Experiencing a void that social media, food, and shopping simply can’t fill? Take the weight of it all to the Lord. If you’re worn out, exhausted, running to all the false gods this world has to offer… take it all to Him. He has the shoulders to carry your burdens. The One who shouldered the cross, can shoulder your pain. It’s what He does. Amazon Prime can’t do it. Facebook can’t do it. Brownies can’t do it for you either. It’s not their job. It’s God’s job. He is able to carry your hurting relationships square on His shoulders. He can handle your fears and your failures. He can carry your sin-struggles and your shame. He alone can carry the weight of it all, all the way up Calvary’s hill. And at the foot of the cross, He can lay it down on your behalf. In exchange for those heavy burdens, He offers His light yoke. That’s what He gives us when we give it all to Him. No…. it isn’t Monday but I do love this picture!!!!! Mornings are not my best time. I used to LOVE them. Yup, I was one of those crazy people who was on the go from early in the morning till I crashed at night. Then I got OLD! LOL. No actually MS hit. Now, I wake up in an MS fog which takes like an hour to fade away. I used to say, “Don’t talk to me until I had my coffee”, now it is “Don’t talk to me until I can clear the fog”. Despite the fog, I do everything I can to make it a GREAT day! Some days are easier than others but I am determined to make the most of it. How do you start your days? Do you set the alarm to get up early (maybe an hour before everyone else)? Are you full of motivation and anticipation for the day ahead or are you dragging and dreaded what might be. Despite the struggles which come with MS, I usually have my days planned out in some detail – where I’m going, who I will meet, what work I will get done and even some white space on the calendar for those unexpected curve balls called life. Yup, it is all about the Law of Attraction. The reality is your negative (dreading) thoughts are killing your productivity before you even start your day. I know some days are tough. Some times it feels like every day is a Monday. I try to keep a positive attitude. 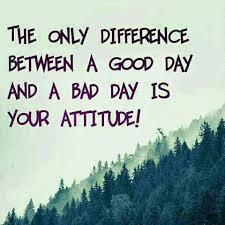 Do you let one bad day, set the tone for the rest of the week or even the next few days? So, are you looking to make a change? To be honest, when I decided to make the most of every day, I actually took control of my life’s direction. Now, before you start the negatives of why you CAN’T do these things, give them a chance. Remember baby steps are what help change the chaotic into the manageable. I don’t always do them all perfectly BUT I give them my best shot. Allow yourself to really slow down and unwind. Maybe it is a glass of wine or reading a book or a bubble bath or a massage or watching endless episodes on Netflix? Why not, right? I know, you have a MILLION reasons but a little self indulgence lets you take some well earned rest. Your weekends (days off) should be different then your work week. It allows you time to forget the stresses and strains of being a busy woman on the go. You get to recharge so you are ready to start all over again. You need to practice this one daily. I know those inner gremlins are screaming at you. I know you have bad days. I have them too. The first thing I do is remind myself my life is not this one day. STOP and be grateful for the things in your life. It will help you to appreciate how good life really is. Your thoughts, your words, your status’, your tweets, your Facebook posts should ALL be positive. You wont be perfect but if you do your best; it will have a huge impact on the way you live your life. I have talked about this before…Getting up early is the most motivating and self satisfying thing you can do. When I used to wake up before 6am; I knew it was going to be a really great day. Devotions done by 6:30AM. Coffee and a shower and I am at my desk by 7:30am. Why so early? So I can be done in my office by 10 to enjoy time with hubby. Days like these, I am unstoppable. My mood is upbeat and I feel energized because I have been productive. 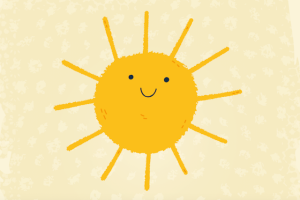 Okay, so things have changed slightly with the onset of MS BUT on those days when I am up early and am ready to go – my outlook is so much brighter. This is more a part of my life since the MS but I have to admit, I LOVE seeing things checked off. I make lists to ensure I don’t miss any thing and everything gets done. It is also a great way to set-up my planner so I don’t over schedule or over commit myself. Yes, this actually is the key to being productive on any day. By taking a regular break, I get fresh eyes and enthusiasm. Planning all my tasks out in small increments helps too. It ensures I am not working non stop (or running around) for long hours. This is how I avoid the afternoon sugar and feeling lethargic so my productivity suffers. Take a tea break. Go for a short walk. Take a power nap. Read a little in your favorite book. You will see a huge difference in the rest of your day. So, what are you going to do to make a difference in your day which will ripple into making a difference in your week? Share your ideas with us. Thank you Gwen Smith for today’s message…. Cammie is a children’s ministry director at her church. One day, as she was preparing for the lesson she would teach on Sunday morning, she had an idea for a fun illustration that would require a few props. She asked her four-year-old daughter to help. So funny… yet so not funny. My word, people! When our children’s toys need a break, you know that it’s time for you and me to hit the pause button. And, truth be told, I live smack dab in the messy middle of this tension. This is the desire of my heart. That I can catch my breath and be sent in the right direction by a loving God who knows what is best. So, I – you – we have to be intentional. Life comes at us fast. If we are not careful, the dizzy pace at which we live can unwittingly become our weakness and demise. I know you know this. I do too and yet somehow it still trips us up. Let’s keep it real here; we have obligations. We have families, jobs, friends, communities, and churches that need us. And though this will look different for each of us in the many seasons of life, our people depend on us a ton. They should. God tells us to put our faith into action (James 2). And we must. We must mobilize the hope we have in Christ. Serve. Show love. Feed the hungry. Minister to the widows and orphans. Yes. We must be women of action. The Bible gives a clear and compelling teaching, however, about this life-pace topic that establishes our first call to action must be focused on the Lord himself! This get-with-Jesus business is the key to us experiencing the maximum abundance that God has in store for every believer. What it all boils down to is this: God’s BEST requires REST. So simple… Yet so complicated. Let me take this one step further by breaking down what the Word of God shows us about this very thing. When we rest in the presence of God, He restores our souls. Rest is the central ingredient in the restoration we all desperately need. Just look at the first four letters of the word! Today (and in part two of this devotion) we are going to break down R.E.S.T. as an acronym and take a walk through Scripture to see just how God’s best for you is fueled by this discipline. It all begins with reflection. There are two parts to this: reflecting ON God and allowing the Spirit of God to work within us so that we become better reflections OF God. Meaningful reflection leads to the soul rest we long for. Today let this truth sink in deep: when you reflect on God, you better reflect God. May we do all things to the glory of God. A girl can hope, right? Sometimes I misplace due-glory. It’s not that I don’t want to thank, praise or give credit to God. I do. It is just that I get busy, distracted, and focused on all that I need to do. All the people who need me. All the happenings around me. Are you at all like me? If you answered yes to a few of the above questions, this is a good sign you’re working by your own strength. Strength that leads to discouragement, disappointment and a depleted spirit. Our strength = Our defeat. His strength = Our victory. Where do you need to move out of the way, so that you can find a new, restful and restorative way — Jesus’ way? 3. Wait to understand what He wants us to do. 6. Pray and give thanks.